It is important to keep in mind that tinnitus is a symptom, not a disease. As such, the optimal treatment strategy should be directed toward eliminating the disease, rather than simply alleviating the symptom. Because tinnitus may be symptomatic of a more serious disorder, it is important to try to find the medical cause before deciding on treatment. There is no single medication that works on all tinnitus patients. Some of the antidepressants and anti-anxiety medications available are helpful for certain tinnitus patients; however, more research is needed in this area. Lipoflavonoids have been known to help some tinnitus patients, and as above, more research is needed. These techniques consist of two main components — directive counseling and low level sound generators. 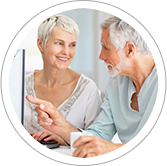 Directive counseling provides intensive, individualized education regarding the causes and effects of tinnitus on the ear, the brain and the coping mechanism. Low-level sound generators produce broadband noise via hearing aid type devices at a soft enough level so that the brain perceives both the noise and the tinnitus. Eventually, the brain may relearn a pattern that will de-emphasize the importance of the tinnitus. These devices may be helpful in desensitizing patients who are overly sensitive to sound. The use of an externally produced sound to either cover up or in some way inhibit or alter production of tinnitus can offer relief for some. There are five main methods of acoustic stimulation. A sound generator, sometimes called tinnitus masker, is an ear-level electronic device housed in a hearing aid case that produces white noise. A tinnitus instrument is a combination hearing aid and sound generator. 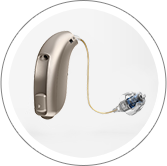 Hearing aids help to amplify speech as well as environmental noise and thus stimulate areas of the ear and brain that otherwise may not be receiving adequate stimulation because of the hearing loss. A tabletop or portable sound generator can be purchased at certain electronic suppliers such as the Sharper Image. Home masking, such as the use of an electric fan, radios or television, may provide enough help. Many patients find that music, particularly classical passages that don't contain wide variations in loudness (amplitude) can be both soothing to the limbic system (the emotional processor in the brain that is commonly negatively linked to a patient's reaction to tinnitus) and stimulating to the auditory cortex. 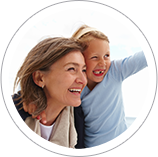 The use of hearing aids and a combination of hearing aids and maskers are often effective ways to minimize tinnitus. While it is not clear whether hearing aids help by amplifying background sounds that can mask the tinnitus or by actually altering the production of tinnitus, most hearing aid wearers report at least some reduction in their tinnitus. This may be due to the reduction in contrast between tinnitus and silence, or because of the new stimulation provided to the brain.